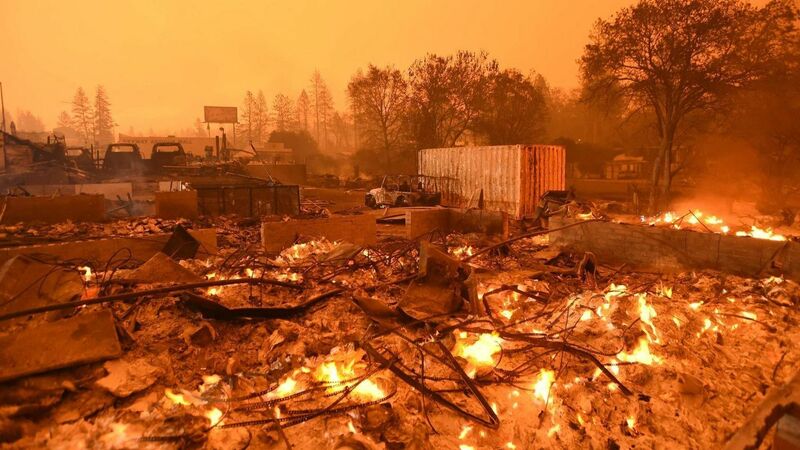 Scene from the devastation of the Campfire in Paradise, California, taken by the LA Times. In the span of one month, two cities where I have lived and worked during the last 25 years have been struck by disasters. The sobering thought that my fate can determined by factors completely out of my control has left me pondering how I am living my life and if I am living it the way I should. Those thoughts have also turned me to the writings of Stoic philosophers from 2,000 years ago, who wisely pondered the best course for living life and confronting misfortune. The Stoics painfully remind all of us that bad luck is part of our shared human existence, as inevitable as death itself. So what would it be like if my life ended tomorrow and all I had were today to life it? What if I confronted calamity and had to start from scratch? In November, these thoughts were not abstract mind games, but deeply personal stories I watched from afar on my computer and through conversations with friends and relatives who witnessed these large natural disasters. They also forced me to have deep periods of reflection about my life and the years I have to live it. This photo by Josh Edelson of AFPGetty Images, captures the devastation of the fire the first day it broke out in Paradise. 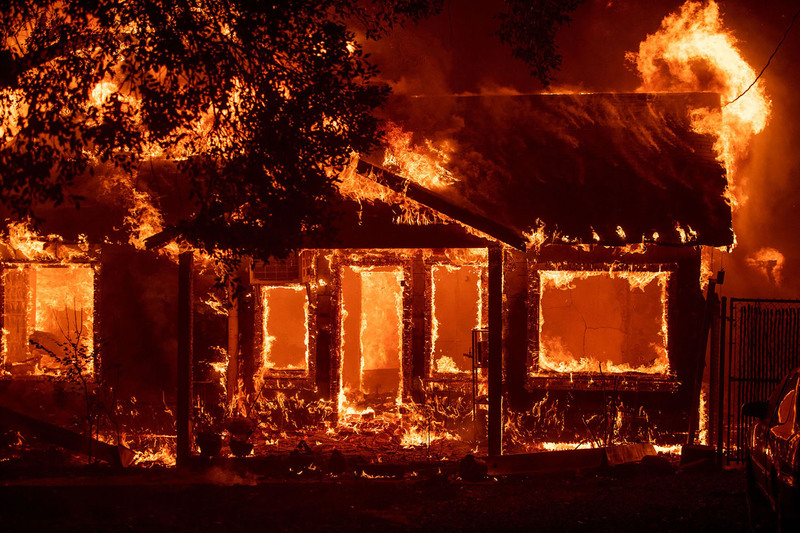 On Nov. 8, a wildfire ripped through the lower Sierra foothills above Chico, California and nearly completely destroyed the city of Paradise, just up the hill. I used to live and work in Paradise as a reporter for the Paradise Post in late 1993 and early 1994. As of Nov. 26, California authorities report the blaze that destroyed more than 13,000 homes and many businesses in the hillside city. The conflagration had killed 88 people, with 203 confirmed missing. Many believe the number of unaccounted residents who failed to escape the inferno is much higher. Media report the entire town of 26,000 persons had to evacuate, and nearly all were left homeless. 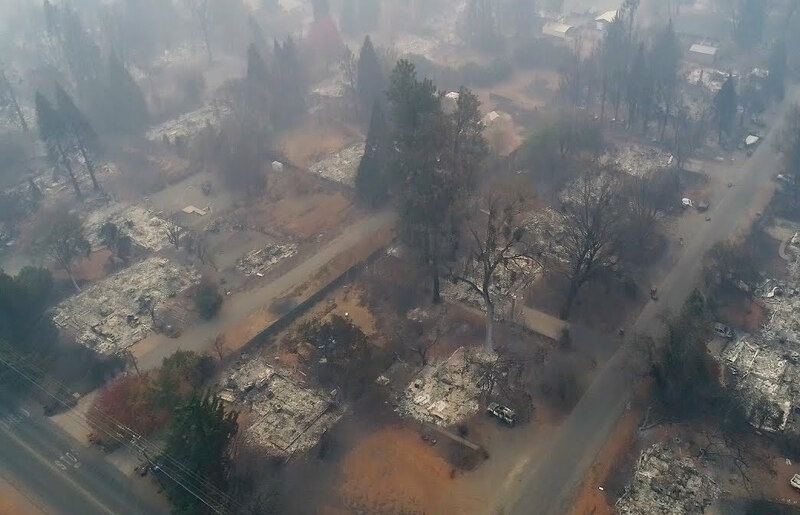 A photo by the Mercury News shows an aerial view of the fire’s nearly total devastation of all homes. When I worked as a reporter there, I frequently covered how vulnerable the community was to this very type of catastrophe that incinerated it in less than 24 hours. There are only two ways out of town when that terrible moment came, and residents were forced to flee with almost no notice only to find themselves stuck in a traffic jam and then having to flee on foot if they were able-bodied and could do so. My cousin, who was working for a field surveying team and who went in five days after the blaze, described what he saw as a war zone. He was sure many cars he saw burned out had scorched, human remains of those caught in the fire’s path. I felt tremendous grief for strangers I did not know. I also kept wondering, what if that had been me. With the Campfire blaze in Paradise just contained after Thanksgiving, I witnessed yet another natural disaster in another city where I lived, Anchorage, Alaska. 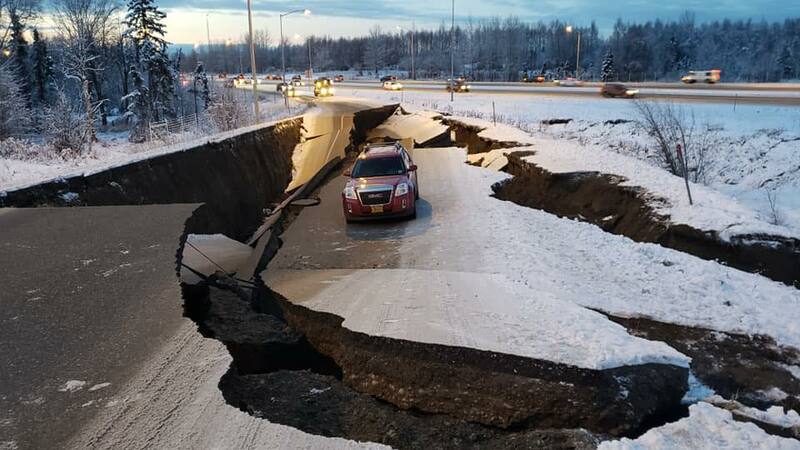 This image was shared globally the morning of the Anchorage earthquake, on Nov. 30. At around 8:35 a.m. Alaska time, on Thursday, Nov. 30, a massive 7.0 temblor shook the Cook Inlet region, including Alaska’s most populous city. The epicenter was 8.5 miles from downtown Anchorage, where I worked for six years at the Consulate of Canada. My home was just 1 mile away, built on soil that I had learned was likely prone to liquefaction during a major earthquake. I immediately thought of who might be in that apartment now and if they were OK. 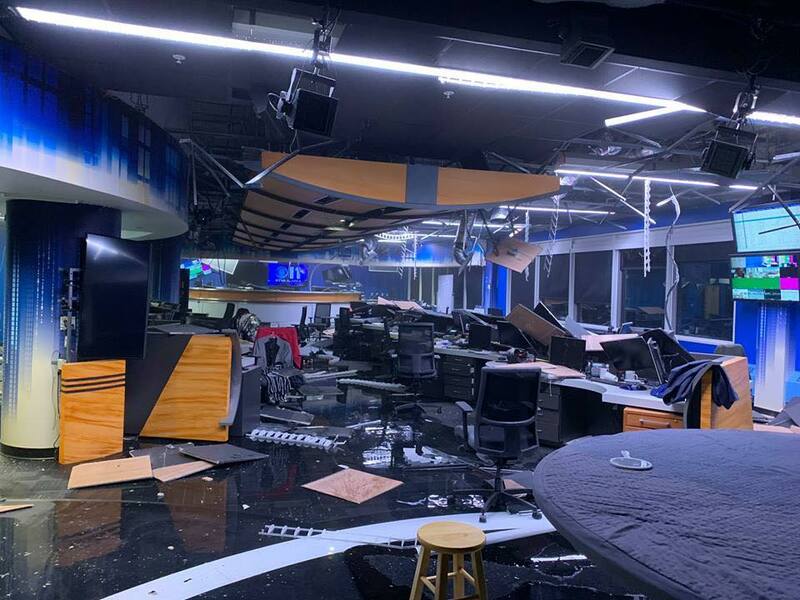 The KTVA newsroom was heavily damaged by the temblor; this shot was taken shortly after the first earthquake, and many more aftershocks followed. Like many, I was glued to the footage of roadways broken apart like twigs, cellphone videos of buildings shaking as if freight trains were plowing through them, and the terror and panic in people’s voices as the feared their lives would end at those very moments. I began seeing messages on Facebook, where colleagues had checked in to tell their family and friends they were alive and well. I contacted Alaskans I knew out-of-state, and as far away as Tacoma, Maryland, and Hawaii. All reported damage to their homes, but not to the ones they loved. 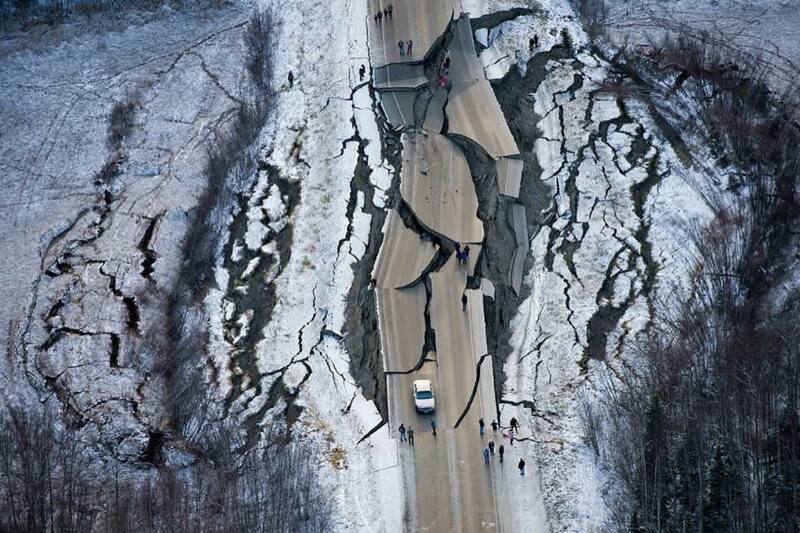 A shot of the Seward Highway, south of Anchorage, after the temblor. The highway was closed due to landslides and damage. My other concerns in life today seemed completely inconsequential to these distant human connections. CNN fed video from the destroyed newsroom of KTVA and covered the many breaking stories of schools closing and some homes having small fires. 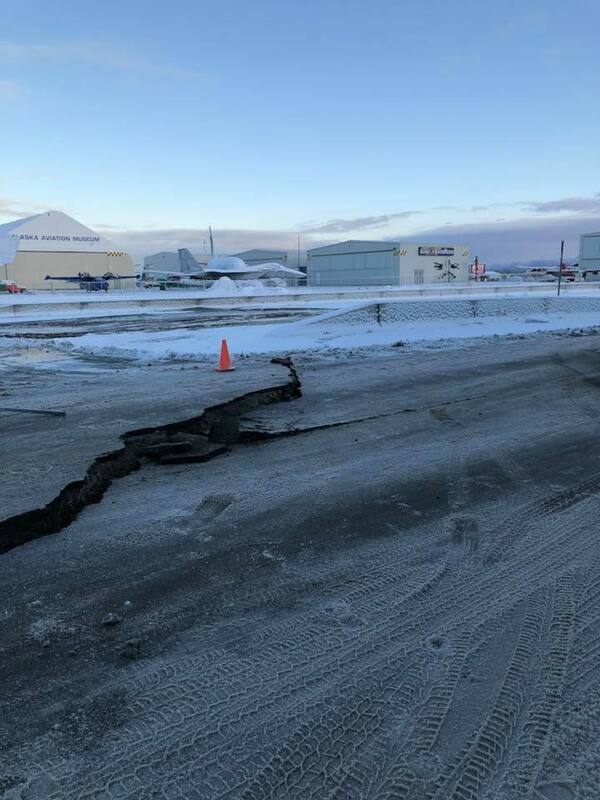 NBC compiled video footage as well, showing how people reacted in their homes, at school, on roadways, and at the Ted Stevens Anchorage International Airport. The New York Times compiled a summary shared with me by my Alaska friends. Remarkably no one appears to have died, even with more than 15 aftershocks, according to CNN, some as strong as 5.8 on the Richter scale. The Municipality of Anchorage was reporting more than 10,000 without power, which can be a severe and life-threatening hazard, with temperatures of wintry Alaska at 20 Fahrenheit and colder this time of year. It is remarkable there weren’t gas line explosions or other fires sparked by downed lines and combustible materials being ignited in many damaged structures. Critical facilities like airports were damaged during the initial temblor. The earthquake’s effects will be lasting. There likely is severe structural damage to countless buildings and homes. It is not clear if the critical infrastructure, like the Port of Alaska, where most food supplies are delivered by container ship from Tacoma, has any significant damage. The airport was reportedly operating by the end of the day. It had sustained damaged like many other pieces of critical infrastructure. 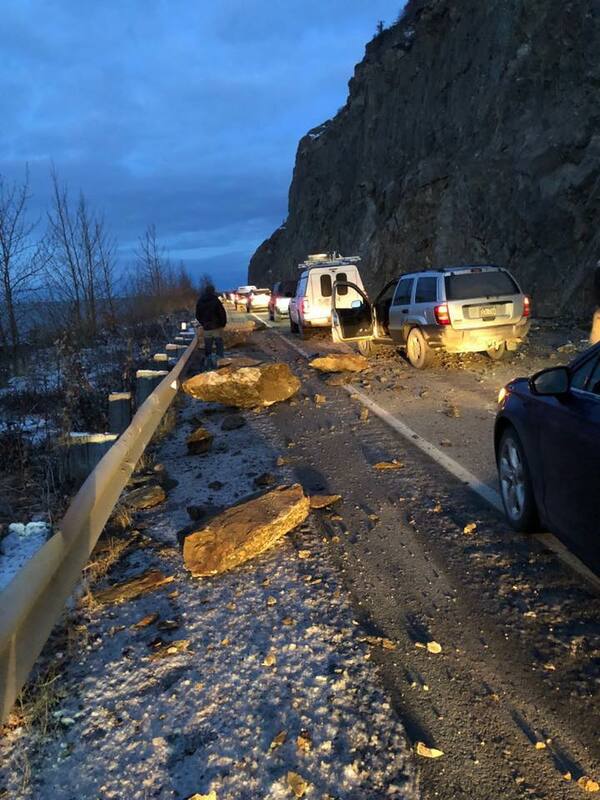 The Anchorage area experienced damage to many roads and buildings. All of my friends who were there or away report the exact same response. When I chimed in with comments that may have seemed flippant that I was simply happy they were alive, they did not turn to sarcasm. They gave me a thumbs up and seemed genuinely positive they were able to enjoy another day alive with the ones they loved. They were cleaning up and, I imagine, counting their blessings. As I look back at this month, the theme connecting me to the tragedies impacting thousands in my former communities is that our lives, and all we plan for them, may be incredibly temporal exercises in futility. A single day and a single event can change anything. 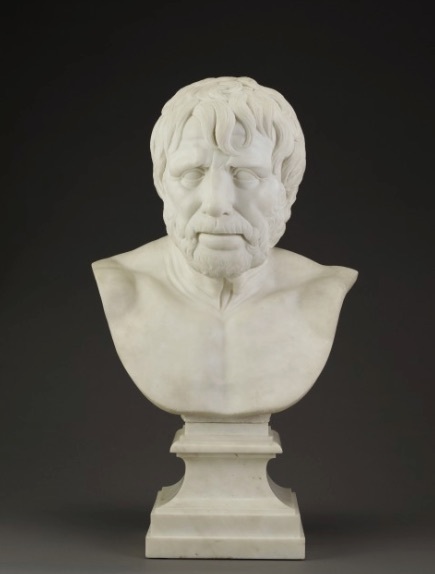 Perhaps that’s why the Stoics from two millennia ago urged their peers to contemplate purposeful living in the moment, focused on living virtuously and with the full power of one’s mental energies. Ryan Holiday, a writer and promoter of Stoicism who I follow online, runs a website called the Daily Stoic. A section of his writings seems particularly meaningful to me today as I exchanged my short, but touching emails with friends who I care about but no longer see or share words with. It’s important to remember that this is an exercise and not a rhetorical device. He doesn’t mean “think about” misfortune, he means live it. Comfort is the worst kind of slavery because you’re always afraid that something or someone will take it away. But if you cannot just anticipate but practice misfortune, then chance loses its ability to disrupt your life.